Since joining Google in 2001, Eric Schmidt has helped grow the company from a Silicon Valley startup to a global leader in technology. As executive chairman, he is responsible for the external matters of Google: building partnerships and broader business relationships, government outreach and technology thought leadership, as well as advising the CEO and senior leadership on business and policy issues. From 2001-2011, Eric served as Google's chief executive officer, overseeing the company's technical and business strategy alongside founders Sergey Brin and Larry Page. Under his leadership, Google dramatically scaled its infrastructure and diversified its product offerings while maintaining a strong culture of innovation. Prior to joining Google, Eric was the chairman and CEO of Novell and chief technology officer at Sun Microsystems, Inc. Previously, he served on the research staff at Xerox Palo Alto Research Center (PARC), Bell Laboratories and Zilog. He holds a bachelor's degree in electrical engineering from Princeton University as well as a master's degree and Ph.D. in computer science from the University of California, Berkeley. Eric is a member of the President's Council of Advisors on Science and Technology and the Prime Minister's Advisory Council in the U.K. He was elected to the National Academy of Engineering in 2006 and inducted into the American Academy of Arts and Sciences as a fellow in 2007. He also chairs the board of the New America Foundation, and since 2008 has been a trustee of the Institute for Advanced Study in Princeton, New Jersey. Rajan Anandan is the Vice President and Managing Director of Google India, responsible for all Sales and Operations in India. He joined Google in February 2011. His career includes global leadership roles at Microsoft, Dell and McKinsey & Company. Prior to Google, Rajan was Managing Director of Microsoft India, responsible for all aspects of Microsoft's software, OEM and services business in India. Under his leadership, Microsoft India was recognized as the Number 1 subsidiary among the emerging markets worldwide (China, Russia, Brazil, Mexico, Turkey, South Africa and India). Before joining Microsoft, Rajan was the Vice President and Country General Manager of Dell in India where he grew the Dell business from $250 million to over $800 million and also held several leadership roles including being the Executive Assistant to Chairman Michael Dell. Before Dell, Rajan was a Partner with McKinsey & Company in Chicago. He holds an MSc from Stanford and a BSc from MIT. He lives in Delhi and is married to Radhika with a 6 year old daughter, Maya. Alan Rusbridger has been editor of the Guardian since 1995. He is editor-in-chief of Guardian News & Media, a member of the GNM and GMG Boards and a member of the Scott Trust, which owns the Guardian and the Observer. Stephanie Cutter was the Deputy Campaign Manager for President Barack Obama's re-election campaign. Prior to joining the campaign, she served as a senior adviser to President Obama in the White House for communications and strategy. Cutter first joined the Obamas in 2008 as chief of staff to Michelle Obama and senior adviser to then-Senator Obama, and served as chief spokesperson for the Obama-Biden Transition Project. Before moving to the White House, Cutter served as counselor to Treasury Secretary Tim Geithner. She is also the founder of the Cutter Media Group, LLC, a strategic communications firm that represents Fortune 500 clients, and served as a senior strategist for Majority Leader Harry Reid, Senator Edward Kennedy, and Senator John Kerry. She held several positions in the Clinton Administration, including White House Deputy Communications Director. A graduate of Smith College and the Georgetown University Law Center, Cutter has also served as a lecturer at Harvard University's Kennedy School of Government and frequently appears on network news discussing the issues of the day. Elizabeth oversees the EIU's team of industry specialists, covering the following sectors: automotive, consumer goods, energy, financial services, healthcare, and telecommunications. Elizabeth has more than fifteen years' experience in industry research and analysis. Prior to the EIU she followed the telecommunications industry for eight years at Pyramid Research, where she held the company's most senior research role, managing the profit and loss account and the global research team. Earlier in her career Elizabeth worked in equity research and investment banking in New York City, covering the major oil and gas companies. Elizabeth's sector expertise includes telecommunications, healthcare, and energy. Her functional expertise includes strategy, innovation, and entrepreneurship, especially in developing markets or new business areas. Elizabeth has presented to corporate audiences of all different types including Boards of Directors, C-suite executives, senior executives, and sales managers. Elizabeth has chaired conferences in front of audiences as large as 300 people. Elizabeth has also facilitated small-group workshops for corporate clients and conducted training seminars at the World Bank and the IFC. Elizabeth holds an MBA from the London Business School, an MSc from the London School of Economics, and a Bachelors degree from Swarthmore College. Raghav Bahl is the Founder and Managing Director of Network18, the fastest growing media group in India with interests in television, films, magazines, internet and mobile. From its beginning as a TV production house, Network18 has grown into a full scale media conglomerate over the last two decades. The market capitalization of group companies now exceeds $1 Billion. Raghav was selected the Entrepreneur of the Year in 2007 by Ernst & Young and has received several prestigious national and international awards. Raghav is an economics graduate from St. Stephens College, Delhi and also holds an MBA degree from the University of Delhi. Mr. Sam Pitroda is an internationally respected development thinker, policy maker, telecom inventor and entrepreneur who has spent over four decades in Information and Communications Technology and related human and national developments initiatives. Credited with having laid the foundation of India´s technology and telecommunications revolution in the 1980s, Mr. Pitroda has been a leading campaigner to help bridge the global digital divide. During his tenure as Adviser to Prime Minister Rajiv Gandhi in the 1980s Mr. Pitroda headed six technology missions related to telecommunications, water, literacy, immunization, dairy and oil seeds. He was also the founder and first chairman of India´s Telecom Commission. In these roles, he helped revolutionise India´s development policies and philosophies with a focus on access to technology as the key to social change. Mr. Pitroda was Chairman of India's National Knowledge Commission (2005-2009), an advisory body to the Prime Minister of India, set up to provide a blueprint for reform of the knowledge related institutions and infrastructure in the country. The Commission has offered a series of recommendations on various aspects of the knowledge paradigm to help India meet the challenges of the 21st century. He is currently Adviser to the Prime Minister of India on Public Information Infrastructure and Innovations and has undertaken the ambitious task of providing a plan for creating digital infrastructure in the country for enhancing governance and improving delivery of public services. He is also the Chairman of the National Innovation Council (NInC) which is working on several initiatives to boost innovation performance in the country. He is also working with the Law Ministry and other stakeholders for enhancing the use of ICT in Justice for improving delivery of justice. Mr. Pitroda is also the Chairman of the Smart Grid Task Force set up under the aegis of the Ministry of Power, Government of India. He has also been appointed one of the founding Commissioners of the United Nations Broadband Commission for Digital Development. He is also part of an Empowered Committee on the promotion of semiconductor wafer fabrication manufacturing units in India constituted by Ministry of Communication and Information Technology. He also headed the Expert Group on the Modernisation of Railways which submitted its report in 2012. He has recently also been appointed as Chairman of an Expert Committee set up to review the functioning of Prasar Bharati by the Ministry of Information and Broadcasting. He holds close to 100 worldwide patents and has published and lectured widely in the US, Europe, Latin America and Asia. Jeff Jarvis, a national leader in the development of online news, blogging, the investigation of new business models for news, and the teaching of entrepreneurial journalism, writes an influential blog, Buzzmachine.com. He is author of the books What Would Google Do? and Public Parts: How Sharing in the Digital Age Improves the Way We Work and Live as well as the e-book Gutenberg the Geek. Sajeeb Wazed is an Information Technology expert based in Washington, DC. He has worked in the industry for over a decade. This includes a startup company in Silicon Valley that he co-founded that raised over $8 million in venture capital. He has had his own consulting practice in the Washington area with clients including global multinational companies. He is the architect of the "Digital Bangladesh" plan that is one of the key manifestos of the present Government of Bangladesh. Sajeeb has a Bachelor's degree with a triple major in Physics, Mathematics and Computer Science from Bangalore University, a Bachelor's degree in Computer Science Engineering from the University of Texas and a Master of Public Administration degree from the Harvard Kennedy School. Anu Madgavkar is a Senior Fellow with the McKinsey Global Institute (MGI), the economic and business research arm of McKinsey worldwide. As the head of the India hub of MGI, Anu leads India-focused research in MGI's core areas of technology, productivity, growth and competitiveness. Anu has been working on the impact of technology and the Internet on India's economy and recently co-authored the McKinsey report Online and Upcoming: The Internet's Impact on India. Her other research interests include inclusive growth for India, economic growth patterns across rural and urban India and resulting market opportunities, and the evolution of demand and supply of jobs and skills across India, China, Africa and the advanced economies. 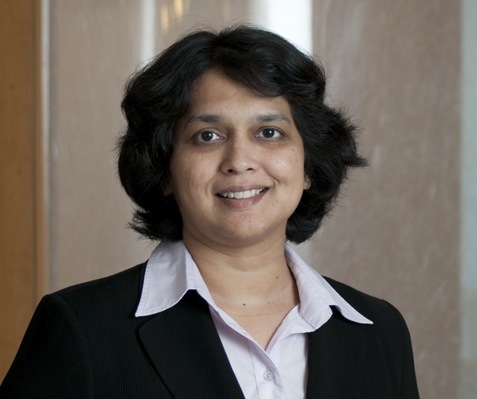 Formerly, Anu was a global Partner of McKinsey & Company, based in Mumbai, where she co-led McKinsey's Financial Institutions practice in India, focusing on the areas of capital markets, infrastructure and economic policy. She has represented McKinsey at the World Economic Forum, the Planning Commission of India, the Asian Development Bank, the Reserve Bank of India and other leading forums, and has been an active columnist in leading business journals. Anu holds an MBA from the Indian Institute of Management, Ahmedabad, and a Bachelors degree in Economics and Statistics from Bombay University, St. Xavier's College. Neil D'Souza is the founder of ZAYA.org a disruptive educational non-profit startup that is bringing the online education revolution to the bottom of the pyramid. Neil is building a network of blended learning labs powered by technology that will bring world class primary education to the BOP at an affordable price. In 2012 he was selected by the World Economic Forum in 2012 as a Global Shaper – a select group of young leaders who are applying their leadership potential towards serving society. Neil has worked in the computer / networking industry for over 5 years at Cisco Systems where he focused on building 4G/LTE, Mobile Internet and Video Technologies. During his time at Cisco, Neil developed a strong passion to help underprivileged communities and he set his sights on how to bridge the education gap for children in remote regions of the world. While he was on sabbatical he developed his "Education MicroCloud", a wireless technology solution of creating distributed educational Clouds that now powers 20 schools and orphanages in India, Indonesia and Mongolia. This solution won international awards including Global Education Award in 2012, NASSCOM Social Innovation Award 2013 and Gratitude Award. He has lived, traveled and worked in 40 countries and acts as an active advisor to several startups and a mentor with Startup Weekend. Originally from Mumbai, India, Neil received his Masters in Computer Science with a specialty in computer networks from North Carolina State University. 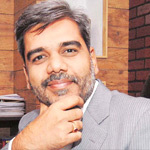 Sanjay Salil is the reason and vision behind MediaGuru. He began as a career journalist with print media and worked with leading Hindi daily newspapers in India. Even as electronic media just entered the Indian terrain in mid-90s, he foresaw the growth trajectory of broadcast. Naturally, he was a part of the growth and launch of India's first 24*7 private TV news channel, Aaj Tak from the India Today group. He also served as Joint Chief Executive Officer of a duo of television stations before foraying on his own. Sanjay found MediaGuru in 2003. With his ever growing hands-on experience in media, he led MediaGuru to set up and launch a 24X7 national news & current affairs channel, Channel7 for India's no. 1 Hindi daily Dainik Jagran. It is now known as IBN 7 and is a part of the TV18 – CNBC group. His keen business acumen and ethics have helped MediaGuru forge and diversify a group of media companies in these few years since inception. The company today owns independent verticals in technology and system integration, new media ventures, broadcast, media infrastructure, among others, being managed from offices in Delhi, Mumbai, London and Singapore. Umar Saif is a Pakistani computer scientist and entrepreneur, who is known for his work on using ICT solutions for developing-world problems. Saif holds a BSc. from the Lahore University of Management Sciences and PhD in Computer Science from University of Cambridge, where he was a Commonwealth Scholar at Trinity College. Saif is a tenured associate professor at the Lahore University of Management Sciences, Lahore, Pakistan and established one of the first startup incubators in Pakistan, called the Saif Center of Innovation (SCI). Saif's work on grassroots technologies received the MIT Technovator Award in 2008 and he was named a Young Global Leader by the World Economic Forum in 2010. In August 2011, the MIT Technology Review named Saif among its list of the 35 "World's Top Young Innovators for the year 2011." The list recognizes the works of the world's top young innovators that are radically transforming technology; it was also the first time in the past decade that a Pakistani had been featured. By featuring in the list, Saif now joins an elite group of researchers and technologists including the likes of Google's Sergey Brin and Facebook's Mark Zuckerberg. Amit Sood is the founder of the Google Art Project and Director at the Cultural Institute, prior to that he has held senior roles most recently in Google's Android team in mountain view, and has spent time leading Google's Marketing efforts for its GEO products in EMEA. He continues to manage the expansion of the Art Project and other cultural initiatives at Google and is currently based in London working out of the Product & Engineering teams in EMEA. Prior to joining Google, Amit has worked at Ericson, DHL and in the non-profit sector in Europe and India. He received his MBA from INSEAD and bachelor's in Commerce from Sydenham College in Mumbai. When he was five years old, Saroo Brierley got lost on a train in India. Twenty-five years later, having grown up half a world away in Hobart, he found the needle in the haystack: using Google Earth, he tracked down his village, and set off to find his mother. One evening, five-year-old Saroo left his poor village home in India to watch his older brother work at the next town's train station. His life was about to be utterly transformed. Lost and alone on an unfamiliar train, he found himself taken across the country and deposited in a strange city, unable to explain who he was or where he was from. He'd arrived in Calcutta. After weeks of defying the odds on the city's notoriously dangerous streets, Saroo was taken in by a government agency and, after failed attempts to find his family, was miraculously adopted by an Australian couple, the Brierleys, and taken to start a new life in Hobart. As an adult, though, he never forgot his Indian roots and kept trying to work out where he came from. With the advent of Google Earth, his long inquiry began to bear fruit: and as the technology improved, he was, against all the odds, able to find what he thought was his home neighbourhood of Ganesh Talai – and go in search of his family. Even more astonishingly, he found them. Saroo's extraordinary story of his life journey, starts from the dirt floors of his birth home in India to the hills of Hobart and back again. Saroo will describe his incredulity at finding his birth mother, his heartbreak at learning of his brother's fate, and that fateful day over a quarter of a century ago. And of course, how technology changed his life forever! Tweets about "Big Tent India"